If you have the iPhone Configuration Utility installed the profile will not open with System Preferences by Default! 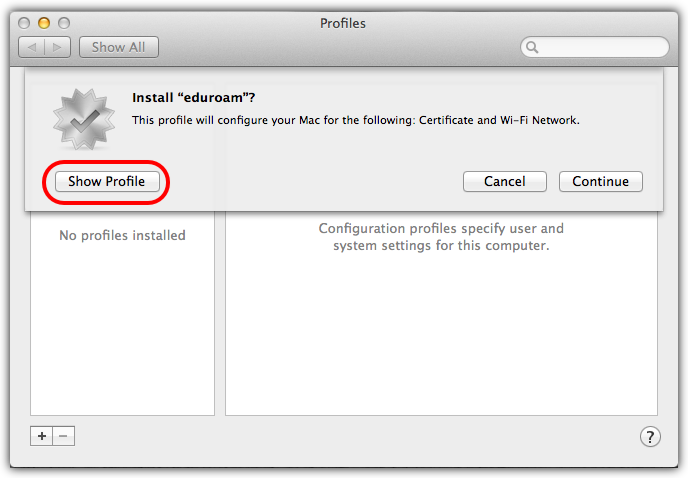 In order to force the profile to open with System Preferences, Control-Click (or Right-Mouse Click) the profile, Select Open With... System Preferences. Click Show Profile to view and verify. Even if the profile shows Unsigned instead of Verified, it is fine to proceed with the installation. 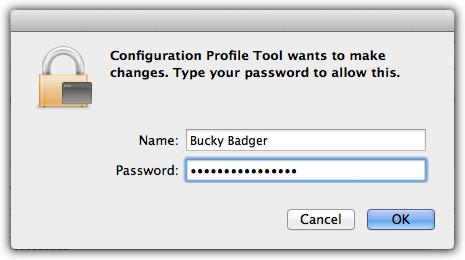 Finally, you may be prompted for local machine credentials to install the profile. -Open the System Preferences window. -In the Internet & Wireless section, click Network. -In the Network window's left-hand column, select Wi-Fi. -Click the Advanced... button in the lower right area of the window. 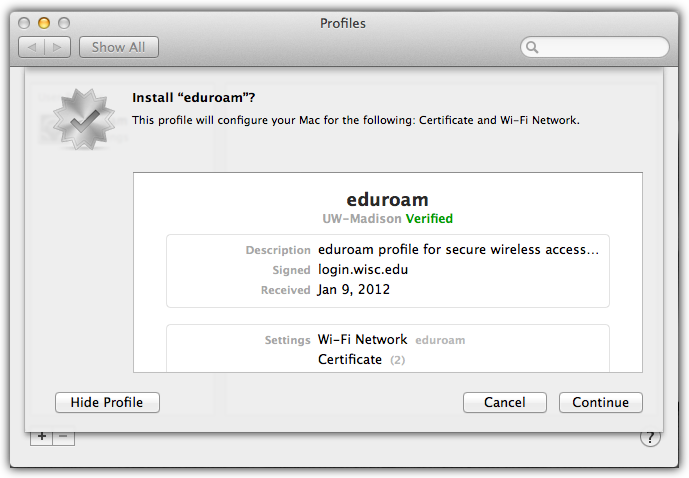 -In the list of preferred networks, highlight UWNet and click the minus button or move eduroam. 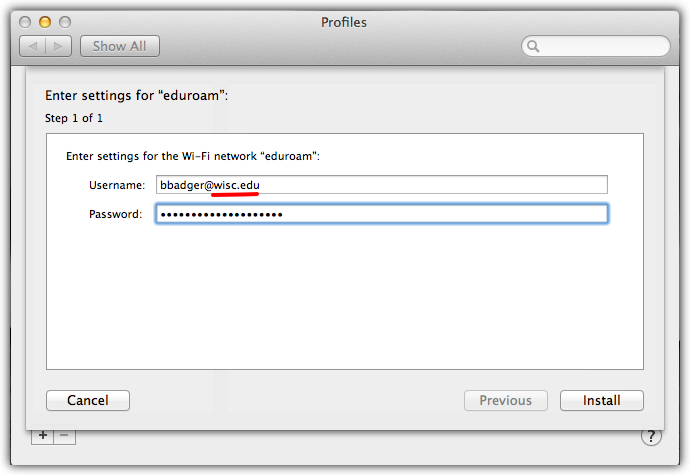 -After removing UWNet from the list or moving eduroam, click OK and close any open windows. Answer OK/Yes if asked.